Window Magic! 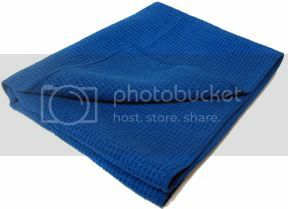 This towel has the same superior construction as our regular waffle weave towel, good for hundreds of washes, because it retains its softness and absorption qualities! 18" x 30" size does the job right the first time. The Secret is in the weave, Window Magic has a 30% increased absorption combined with a finer weave to deliver superior steak free squeaky clean glass. 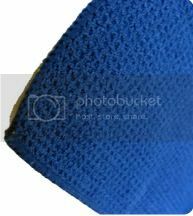 Waffle weave construction involves splitting the polyester and polymide fibers that comprise microfiber and densely weaving them into a waffle textured towel. safe to use on even the most delicate surface. 100% Hypoallergenic and irritant free! Window Magic, could possibly be the best window towel ever! 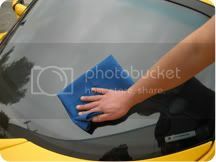 To make it even better use it with an ammonia free window cleaner to guarantee streak free results. 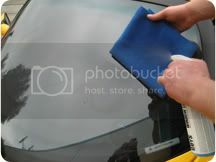 Simply mist a small amount of Streak Free Window Clean onto towel or surface. 2. 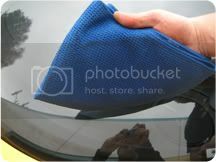 Work over glass in a circular or side-to-side manor to remove dirt and grease. 3. Flip over dirty side of towel to clean area and polish glass for perfect streak free results.